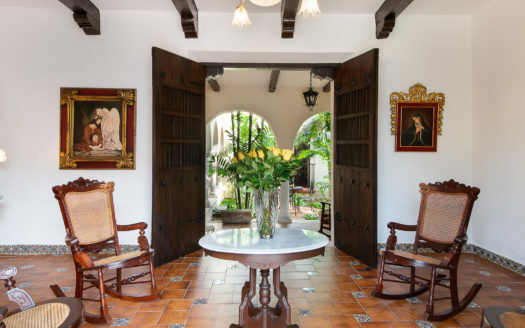 Visit Casa Yax Che your Mexican vacation home in the heart of Merida’s Centro Historico. 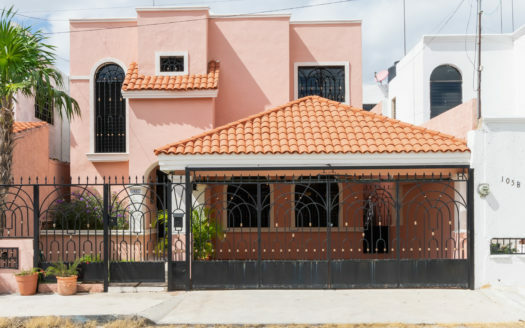 This is a classic Merida Colonial with lofty, beamed ceilings and original pasta tile floors. With plenty of space inside and out, this is a great choice for a couple or up to 6 guests. 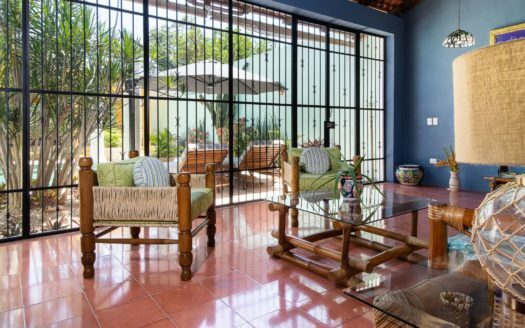 The master bedroom suite is spacious and located upstairs with its own deep, tiled roof covered terrace complete with comfy hammock. Guest bedroom two is half way down the stairs and feels like a tree house with two of its screened walls in the branches of a giant Tamarindo tree. 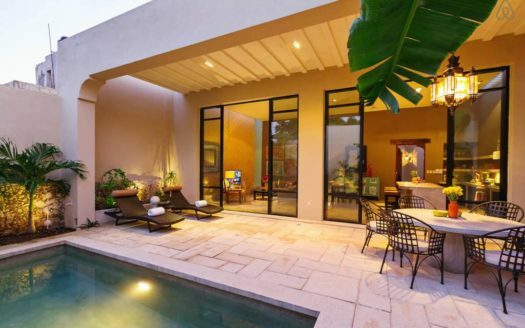 A second bedroom shares the upper floor, while another guest room with en suite is on the ground floor with a view directly onto the large, inviting swimming pool. In the main part of the house you’ll find a very large living room, dining room, TV room which can also double as another guest room, a bath and a half, and a great kitchen in front of the large covered main terrace. This terrace also is a great spot for meals or just relaxing and enjoying the view of the tropical garden, the spectacular tamarind tree and the huge pool. Can sleep up to 6 persons.